Thank you for making YARN happen in Melbourne. Yesterday was my Birthday. So to celebrate, I decided to Host the Melbourne premiere screening of a documentary called YARN! Seriously... the date was just a co-incidence but what a fab birthday gift it was to host this event and see such a wonderful movie. I had seen reviews and promos for this documentary online for a while and since there was no distributor or any signs of screening in Australia - I decided to organize it myself. Getting the minimum number of tickets to guarantee the screening was a little stressful, but thankfully lots of Craft and Textile fans shared my movie information and we reached the cut off. Then of course more ticket sales up to the day - 108 in all! So close to being sold out! I was absolutely thrilled to see such a lovely group of movie goers all sharing a common love of YARN. Well done to those of you who knitted and crocheted in the cinema. Creativity, laughter and global joy all connected to Yarn. As hoped, the women featured in the documentary were delightfully inspiring. 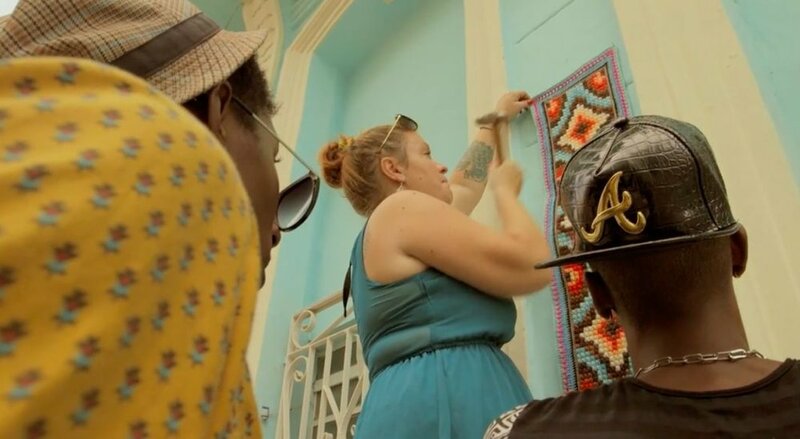 Thorudottir Thorvaldar was so passionate with her protest crochet and embroided 'yarnbombing'. I loved watching her climb atop a Bongo drum in the streets of Havana to nail a revolutionary artwork to a wall. Toshiko Horiuchi MacAdam born in 1940 was beautiful in her quest to encourage play and creativity for children who are increasingly attached to a television screen. Watching her dismantle her work after a year long installation was poignantly touching. Join the circus and find out how you connect with the world. That's the message of performers from Cirkus Cirkor who balanced acrobatic skill and a philosophy to foster community and connected-ness. 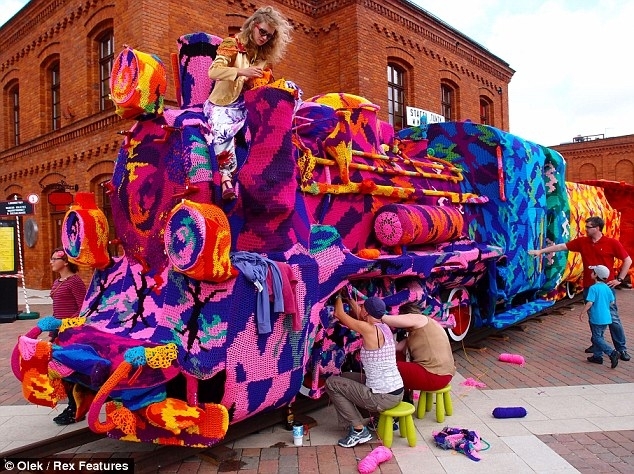 Finally the fast talking, lightening speed crochet Queen, Polish born Olek. I loved her no holds barred attitude to life. She makes art, she has fun and loves to share with the world. Her mermaid swimming with dolphins was stunningly beautiful. So many beautiful moments in the movie. I'm grateful to you all who supported and attended this wonderful event.